When we talk about "financial prudency using needs and wants' principle" we are reffering to making intelligent financial decisions by understanding needs and wants I.e prioritizing the expenditure in the order of necessity considering the fact that there is always a limited income to be used or spent on the unlimited expenditure. 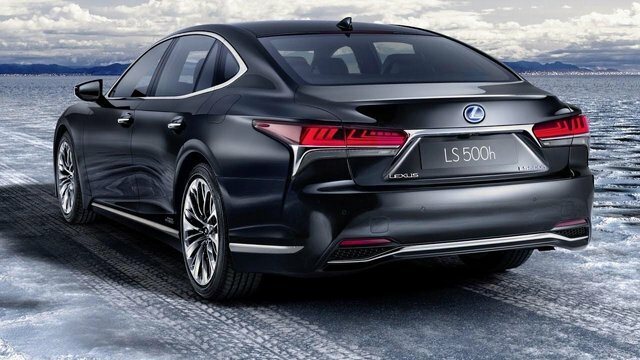 will still be desiring for 2019 model. That is the principle of want, which can never be satisfied until death comes. 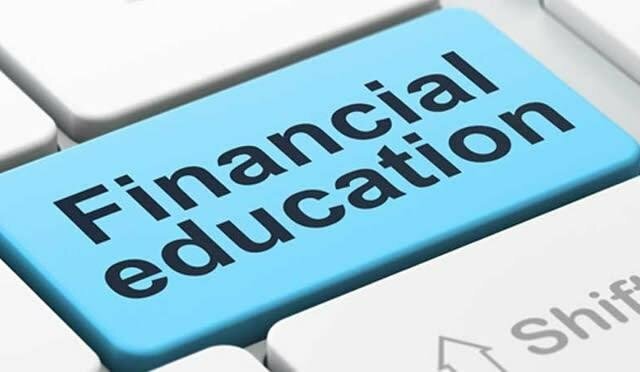 Inferably we usually use these two terms for each other or to mean the same thing, of which they are two different terms with different meaningful meaning in the world of financial education. Thus , there is need for us to get it right. What is actually the meaning of needs and of course what is the word want all about? How do they contribute to making good financial decisions? The needs of man can be classified into different categories depending on the persons priority; but the primary needs of man are food, shelter, air and cloths. 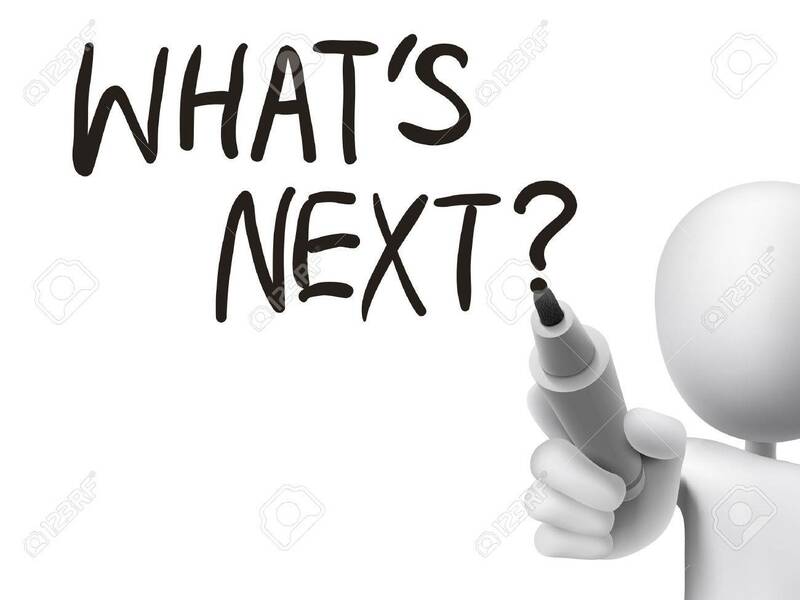 However it should be noted that wants can also end up as needs, and needs and wants may interchange over time depending on the person's specific living situations. Illness or even death if the basic needs like food or medical treatments are ignored. Injury if safety needs are not catered for. Loneliness, boredom, low confidence and depression may also set in if some other psychological needs are not met. If you cannot live without it. If the absence of such an item at that time can cause psychological, physical, medical or mental damage to you. e.g Healthy food. Lack of personal responsibility and carelessness. You need to generate income to satisfy them. You need to live within your means. Knowing how to be financially prudent is very important. One of the key factors that allows these to be possible is understanding the principle of getting to differentiate between our needs and wants as this helps in setting our financial priorities right. 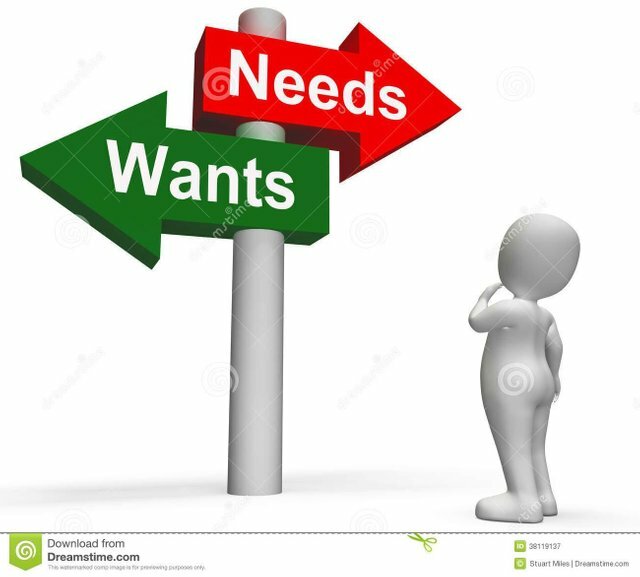 this article really helped in differentiating between wants and needs. thus, making financial decision making easier. Wants and needs. These things need to be properly differentiated. It's most important to prioritize so as to able to differentiate correctly. The ability to differentiate between needs and wants really helps in financial decision makings. Thanks for enlightening us.